One of the aspects listed was that wills are always subject to any contractual arrangements that a will maker may have entered into before their death. One particular approach that is used from time to time is the concept of creating 'mutual wills'. Essentially, a mutual will is a contract whereby two people agree to make their wills in a certain way and to then not change the document without the express consent of the other party to the agreement. Traditionally, mutual wills are made between spouses, often where one or both of the spouses are in their second or subsequent life relationship. Alternatively, mutual wills can be implemented where there are particular assets in the estate that both spouses want to ensure are dealt with in a particular way, regardless of when they may each die. 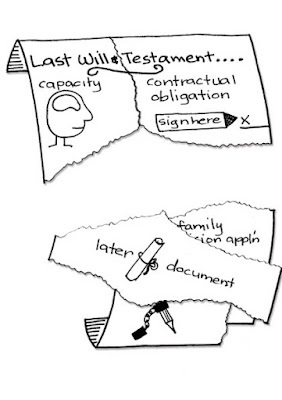 The creation of a mutual will, if crafted correctly, can allow a party who would otherwise have received a benefit, but for a person entering into a new will in breach of the mutual will, to sue on the basis of a breach of contract. While in theory, litigation for the breach of contract should be easier to succeed in, there have been a number of cases that have seen attempted mutual will arrangements fail. 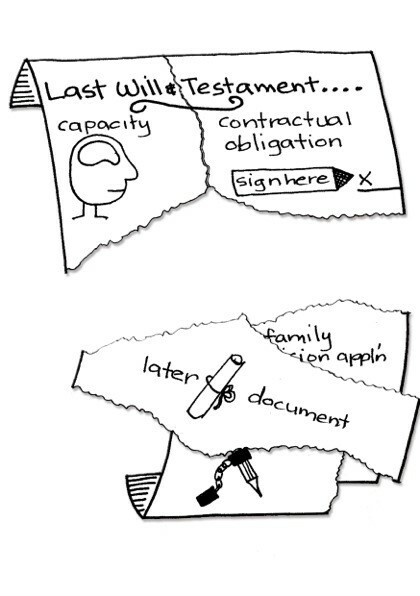 Furthermore, the significant inflexibility created by mutual wills mean that most specialist advisers caution against their use.